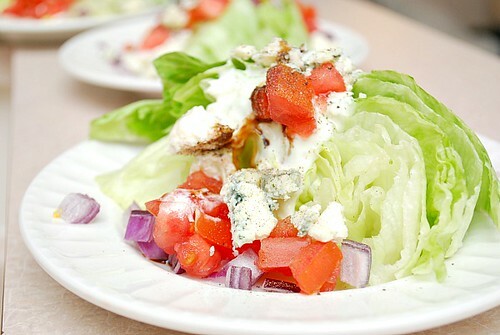 To make the dressing, add the buttermilk, sour cream, 4 oz blue cheese, vinegar, honey, salt and pepper to a blender or food processor and blend to combine. Set aside until ready to use. To make the salad, heat a skillet over medium heat and cook the bacon until crisp. Line a metal tray with paper towels. Drain the bacon. Cool, crumble, and set aside. 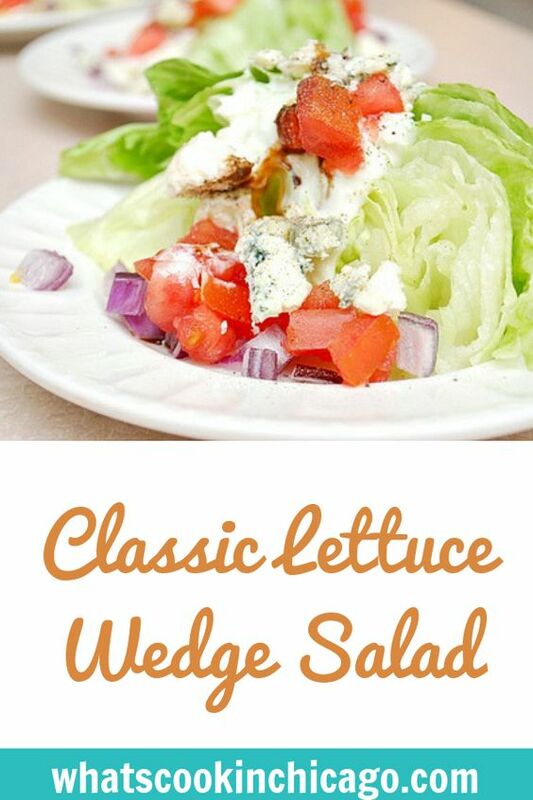 Remove the root end from the lettuce, and cut the head into 4 wedges. Place one wedge each on four individual serving dishes. Dress each wedge with 2 tablespoons of the dressing. Garnish each with the crumbled bacon, cheese, onion, and tomatoes. This is P's favorite salad to order while out. Perhaps I should add it to our Valentine's day menu to make it extra special for him.